Liza Dimbleby is a member of the Royal Drawing School's Senior Faculty. She talks here about drawing outside in the city. 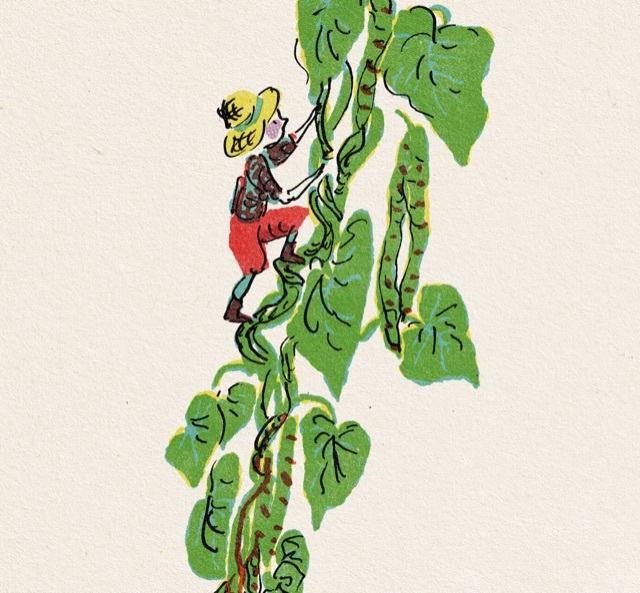 My friend Alice Wood pointed out this article to me: Our Lost World in Watercolours. 'Hot in the footsteps of Art UK’s ambitious attempt to document every publicly owned artwork in Britain on a single website, a new online project has launched to repeat the project for the world’s watercolours – in particular those that, accidentally or on purpose, documented that world. The value – and excitement – of the Watercolour World project, is that it views these historic paintings as documents, not aesthetic objects: visual records of the world at large, in colour, spanning a full 150 years before photography took over as our primary documentary medium.' Here is the collection, search for any town or subject, it is fascinating. Like a historic #walktosee! Each month I send out five juicy morsels about creativity that have inspired me, stuff from youtube, podcasts, blogs, books… Sign Up! Sign up, you’ll get the Illustrators newsletter and some free resourses for illustrators. Don’t forget to tick your preferences when prompted. I have been taking part in Joanne Hawker’s #marchmeetthemaker. It is a month of prompts for Instagram, I thoroughly recommend it, it helps shake us out of our insta habits. I am at Day 20, very proud I haven’t missed a day yet. You can see the rest as I post them on my insta feed here. My favourite thing to do it write and illustrate picture books. Honing a book into its perfect shape, making words and pictures sing together is difficult and thrilling in equal measures. It can take aaaages, and many failed attempts... but when it all comes together, it is so satisfying. How to Hide a Lion was a delight to make. It started when I left London and moved here, to the windy Northumberland coast. I saw the beautiful sea haars that fill the town with a silvery mist, and imagined a bright yellow lion walking into the silvery grey town. And that was it, the tiny fragile beginnings of an idea. I studied illustration at Glasgow School of Art. I used to trawl the charity shops for good vintage clothes (I had a fab 1960’s M & S anorak) and old books. This is one of the books I bought back then. #rogerduvoisin is one of my favourite illustrators. I love the books of the 1950’s and 60’s printed in limited colours, usually two or three colours and black. I liked picture books, but didn’t really know what I would do when I left art school. My favourite thing was to draw from life, and I always struggled to cross the bridge from drawing to illustration. I had no idea how I would go about Illustrating a book. When I left art school I moved to London because that is where the publishers were, and there was no internet then. Strange to think of that now. I would sit on my bedsit floor and ring the publishers on my landline (no mobiles then) and ask if I could show them my folio. I had postcards made of my work and would send them out to anyone and everyone in the Writers and Artists Yearbook. I had a part time job at the Science Museum and worked on my folio every evening. I would arrange meetings on my days off. One of those meetings was with Dorling Kindersley, who liked my work and asked me if I could write a picture book text. I said yes, although I had no idea how to do it! Each night after work I scribbled away, and the next week I turned up with a text. That book was my first picture book, it was called I’m Too Busy, and published in 1998. Lovely @janecabreraillustration was my designer. Dip-pens, ink, my favourite Uniball drawing pen (the ink flows fast enough not to leave gaps when I draw quickly) a waterproof crayon and a few tubes of watercolour. These are materials I use all the time. The sketch is of a man I saw in the train. He had the word ‘England’ tattooed on his neck. Detail of an illustration I did for my book, The Big Adventure of the Smalls. Full time, but every day I take some time out for a walk on the beach with my scruffy mutt Peggy dog. It blows away the cobwebs and banishes the Illustrators Cabin Fever (a rare condition only found in Illustrators that can be diagnosed by unbrushed hair, a dressing gown with a hot water bottle stuffed down it and a worried expression ). I often draw on these walks and that is what inspired me to start the hashtag #walktosee. It is for drawings done from life on our daily walks. There are more than four thousand contributions so far and I am blown away by the community it is bringing together. Thank you to everybody who takes part. I feature some in my stories every weekend, join in! The less glam side is doing the work. The novelist #Murakami compares writing a novel with long distance running. I think you could say the same for creating a picture book. It is a battle of endurance. Putting in the hours, battling the cold and fighting Illustrators Stoop (bad posture). I should add that it might not be glam, but it is rewarding. My partner @gerryturley and I have an online shop. We opened last October, and have really enjoyed making new products and seeing them go off to their new homes. Gerry’s whale screen prints were featured in The Guardian this time last year and we sell those in an online private view every six months or so. His whale posters are in the shop all the time, and are probably our best selling product. Gerry is working on a new sketchbookzine for the shop right now, it will be a mix of both of our sketchbook drawings. I’ll keep you posted on that. So here is a brief history of my life. Born in Darlington, grew up in tiny village called Staindrop. My best friend was in love with Freddie Mercury, we used to write to each other in lessons and I would draw pictures of Freddie for her. Always loved drawing. As other people seemed to grow out of it I carried on. A teacher told me not to apply to Glasgow School of Art, so I did. So glad I did because that’s where I met my partner @gerryturley. After art school we moved to London, Gerry did his MA at the RCA and we lived in shared flats with other artists for a few years. Was a stressful time as Gerry and I were determined to be Illustrators. Friends and family were getting married and buying houses and all that, but we were single minded in our determination to make our way as illustrators, whatever it took. It was hard for a while. But we loved London and thought we’d probably live there forever. Anyway, some work came in and one thing led to another, I got some books published, Gerry made some brilliant work, and we bought a small flat near Wimbledon... We made a studio in the garden to work in. Gerry filled it with origami birds and bats, and we had a family of foxes living nearby. Then at age 36, having not really been interested in having children before, we decided to have a child. Pie (she always called herself that, from the first time anyone asked her name) arrived in to the world on our bedroom floor during a thunder storm. Although afterwards Gerry said there was no thunder storm, I must have created it in my mind! Weird! Eight years ago we decided to leave London in search of more space, and chose the Northumberland coast. We adopted #helenstephenslionpeggy from the local dog shelter and she likes to roll in dead fish on the beach. It’s a good job we love her because sometimes she stinks! Well, that’s it. Life summed up in a weird selection of facts. Byeeee. Here are some of the recent contributions you made to #walktosee. It’s a hashtag project I started for drawings done from life of our daily walks. It is turning into a wonderful supportive community, why not join in? I feature some on my stories each week. Before I talk about photography, a big thank you for all the views and amazing comments on my last post. You’ve inspired me to do more films of my hands at work! Anyway, photography. I use a Cannon 650 DS camera for photos of my work, especially when it is gloomy outside and I need a camera that’s amazing at picking up light, but mostly I use my iPhone. I like taking pictures of the windows around the streets where I live. These are never popular posts, but I carry on posting them regardless! There must be someone out there who loves these wind worn, sea sprayed windows as much as I do! I learnt by devouring beautiful picture books: books from the library, books from charity shops, books purchased with a nice discount from the bookshops I worked in for a few years after art school, books borrowed from the art school library when I worked there... from anywhere I could get my hands on them. This is one of my favourite charity shop finds. MESSY, but I have a big tidy up at the end of each project. Irrelevant photo of me wearing piles of clothes to keep warm: thermals, woolies, apron, dressing gown, hat and scarf. In winter I top it off with a hot water bottle up ma jumper! What do you wear? When I first left art school I made the mistake of thinking I had to work hard at being an illustrator now, just get my head down and work. I thought it would be frivolous to draw from life or take days out to play at sketching and exploring. I quickly became miserable, I found it hard to generate new ideas, and my work didn’t excite me any more. It took me a while to realise why, I had forgotten the pleasure and importance of play. That is one of the reasons I started the #walktosee hashtag. It is to inspire us all to get out and draw from life. Thank you for posting all of your amazing sketchbook drawings. My #walktosee zine, which is full of my drawings, is back in my shop, and I am working on a #walktosee book/zine full of tips for drawing from life. Sign up to my newsletter for news on that project, and some free downloadable goodies for illustrators. Once you are signed up you will get my monthly Illustrators Newsletter too. You can sign up on my website. Don’t forget to choose your preferences when prompted. My dream collaboration has already begun. I am @picturehooks mentor to @chiehosaka . She a truly delightful human being and talented artist. I am hoping that I will be help her on her way to writing and illustrating a picture book. She has some gorgeous stuff in those sketchbooks, I know there is an amazing picture book just waiting to be made! Last time I was part of the @picturehooks scheme I mentored super talented @kirstibeautyman who has gone on to great things. So proud of her, I learned a lot along the way myself, and her new book, the one we worked on together, is due to be published later this year I think. (Not sure of pub date.) If you are a budding illustrator, or just interested in the creative process, sign up to my nice non spammy Illustrators Newsletter on my website. It is is a list of five inspiring articles/ podcasts/ books dropping into your inbox each month. When you do, there are some free downloadable resources. This is Bernard and Iris from ‘How to Hide a Lion from Grandma’. I have been lucky to work with some of the best. 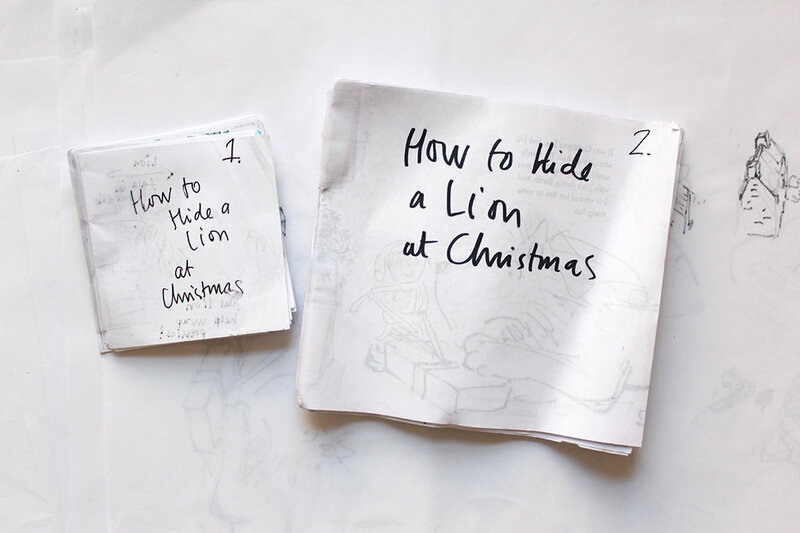 @zoe_tucker_design designs all of my How to Hide a Lion books, she is amazing! When Zoe, my editor Alison Green (editor of the Gruffalo, need I say any more) and I are in a room together I swear magic happens! We all inspire each other and make books none of us could have imagined alone. That’s all so far, I have ten more #marchmeetthemaker pictures to post, you can see the rest on my insta feed. 1. Did you catch these gems on BBC iplayer? Raymond Briggs: Snowmen, Bogeymen and Milkmen and Ethel and Ernest. There are only six days left to watch, so be quick. Robert the Bruce, illustrated by Jill calder. Gerry and I far right, me in my specs, G with the dashing white hair. 4. My podcast choice this month is this episode of Creative Playdate: Four Starts with an F for a Reason with Tom and Amanda Froese. They talk about Tom's illustration career, and the highs and lows of working from home with small children. Also, I have spoken about this before I am sure, but I find this book on audible very inspiring: On Writing by Stephens King. 5. Pictures and words can change the world: here's how to help save whales. Join in with Nicola Davies campaign #waveofwhales by sending your pictures and poems of whales and sending them to the Japanese Ambassador in London. Get a heads-up on new stuff in our shop, special offers, or resources for illustrators. Sign up to Helen’s ‘Monthly Illustrators Newsletter.’ Remember to click you preferences when prompted. It started with this sketch... I knew I wanted Iris and her lion to be torn apart for Christmas... Here they are being sad and lonely. My books usually start with one one very clear image like this. Another early sketch: Lion lost and looking for Iris. I fill lots of notebooks with sketches like this when I am trying to work out the story. It's nearly all visual at first. Then thumbnails. I was trying to work out how Iris and the lion would reunite, and wondered if Iris might find a snowman in the morning, and it turns out it is Lion. Like in my favourite Christmas telly, 'The Snowman', only in my version Iris GETS a snowman at the end. At about this stage I went to see my amazing publisher Alison Green and my designer Zoe Tucker. I love these meetings, magic happenes when we are all in the same room. They were very excited and had some great ideas about where Iris might hide her lion at Christmas. After our meeting I head home to the windy Northumberland coast and get back to work. I feel a bit like a hermit while I am making a book, and wrap up in thermals, winter woollies and a dressing gown over eveything to stay warm at my desk. The glamour! Now, this idea threw me into one of those whirlpools of overthinking... I thought Lion might eat all the Christmas dinner & that Iris might have pizza instead. I spent AAAAGES researching whether you could order pizza on Christmas day. The full sized roughs look like this. I glue patches of paper over the bits of drawings that aren't working & draw over the top to save me redrawing the whole image. I try very hard not to do the roughs too many times or the drawings lose their spontaneity. When I do the final artwork I become a FULL-ON-ILLUSTRATOR-HERMIT. I wear piles of clothes to keep me warm, dog at my feet, and don't do anything else, except a brisk walk on the beach each day until the artwork is done. I tick off each piece of artwork as I do it, to give myself a sense of achievement. And finally we think about the cover... These are a couple of rough drawings. And after all that work: piles and piles of notebooks, stacks piled high of rough drawings, dummy books coming out of my ears, blood, sweat and tears: it all comes down to a small pile of finished artwork. Sign up with your email address to receive news on new resources for illustrators and a heads up on new products in the shop. Hi there. This is a list of five things that have inspired me, or taught me something new over the past month. Hopefully these little nuggets will inspire you too. 1. My podcast choice is: Letters From a Hopeful Creative: How do you Know When you are Ready to Take the Leap? In this episode Sara Tasker and Jen Carrington receive a letter from an illustrator who can't decide whether to leave her part time job. 2. Ted Talk: Do Schools Kill Creativity? Sir Ken Robinson makes an entertaining and profoundly moving case for creating an education system that nurtures (rather than undermines) creativity. 4. I read this book in a day, couldn't put it down: Clothes, Clothes, Clothes, Music, Music, Music, Boys, Boys, Boys by Viv Albertine the guitarist for the punk band the Slits. ‘All underarm hair and knickers showing' - this frank, feminist memoir from the Slits guitarist captures the importance of punk ' The Guardian. 5. My partner Gerry Turley is having an online private view of his whale prints this week. Join our newsletter to get your invite. The doors open at 9am on Thurs 4th Oct. Sign up for the newsletter below. My partner Gerry Turley and I have a shop, sign up for a heads up on new books, freebies and new products. Don’t forget to tick your preferences when prompted. Cheers! Here's a list of five things that have inspired me, or taught me something new over the past month. Hopefully these little nuggets will inspire you too. 1. This book: Reportage Illustration. This youtube video: Tim King, who has documented his entire year through reportage illustration. 2. People I like to follow on instagram: Sanae_sugimoto. 3. This month's podcast choice is: Fresh Air, especially the David Sedaris and Stephen King interviews. 4. White noise apps and writing / drawing. I heard Grethen Rubin talking about how White Noise Apps help people sleep in noisy hotels. My ears pricked up... Could I use this app to help me write? I often go and sit in the swimming pool cafe surrounded by the white noise of cafe customers chatting, and the shouts and splashes of the swimming pool. Maybe I can stay at home with the white noise app on my ear phones... I'll give it a try and keep you posted. I found a blog post about this subject here. 5. Community is exciting: I started a hashtag on instagram called #walktosee. It's for drawings of our daily walks. There's a broad mixture of people taking part, from established illustrators to people who have never drawn before, talking about their struggles and moments of inspiration with drawing. Why not join in? P.S. I will be signing books at the New Wimbledon Theatre for the first show of How to Hide a Lion the stage tour, on Sat 8th Sept, the 4pm showing. Hopefully I'll see you there! It will be touring the UK for the rest of the year. Get your tickets here. Nuts and Bolts and Plastics in our Oceans. Above are notes for the talk I gave at The Nuts and Bolts Illustration Symposium held at Cambridge Art School over the Summer, I am thinking of making a zine of these tips for my shop. Would that be useful? Let me know here. 1. After our recent visit to Iceland we were disturbed by stories of plastic pollution in our oceans, and how it effects whales. 'A whale washed up in southern Thailand has died after swallowing more than 80 plastic bags.' So when we launch our next whale poster in October, we are excited to announce that 10% of proceeds will go to the WDC. 2. I started a hastag project #walktosee for sketchbook drawings of our daily walks. Join in on instagram and twitter. My #walktosee sketchbookzine is back in stock. 4. I read The 100 year life - Living and Working in an Age of Longevity by Lynda Gratton & Andrew Scott and The Multi Hyphen Method by Emma Gannon. Both books talk about modern careers taking many turns instead of one straight path. 5. One extra nugget of information I had to share because I can't contain my excitement: My book, 'How to Hide a Lion' was adapted for stage, and tours this summer! See tour dates here. Sign up for a heads up on new books, resources for illustrators and shop updates. Don’t forget to tick your preferences in the welcome email. Cheers!